After much exciting preparation, I present to you Part 1 of my collaboration with the darling Sloane, a new blogging bestie of mine! Sloane and I brainstormed fun post ideas for a while and at last we came up with the plan to each style the same 2 pieces from J.Crew. These 2 pieces are things we think are essential for fall fashion this year. Today's must have product? The J.Crew Keeper Chambray Shirt! At $78 it is an investment, but I promise you will wear it for years to come. You can style it with seersucker shorts for summer or dress it up with a skirt and blazer for Thanksgiving dinner. Perfect for every season, especially fall! I have the J Crew Chambray shirt and I love love love it. Caroline, this is absolutely adorable! So stylish. I have the circle lace top, it is a wonderful shirt; I love how you styled it! 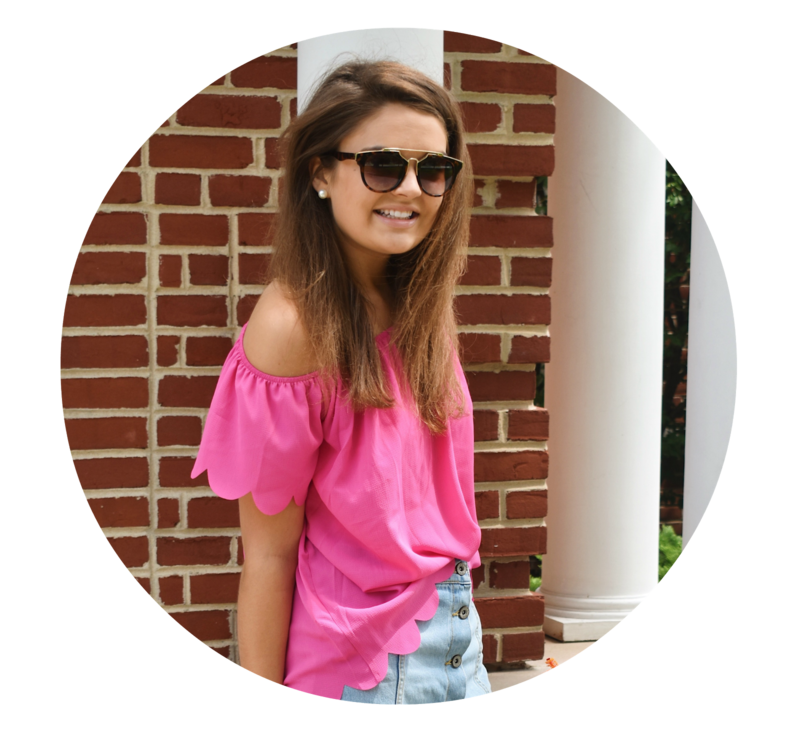 Would you want to follow each other on GFC or bloglovin?